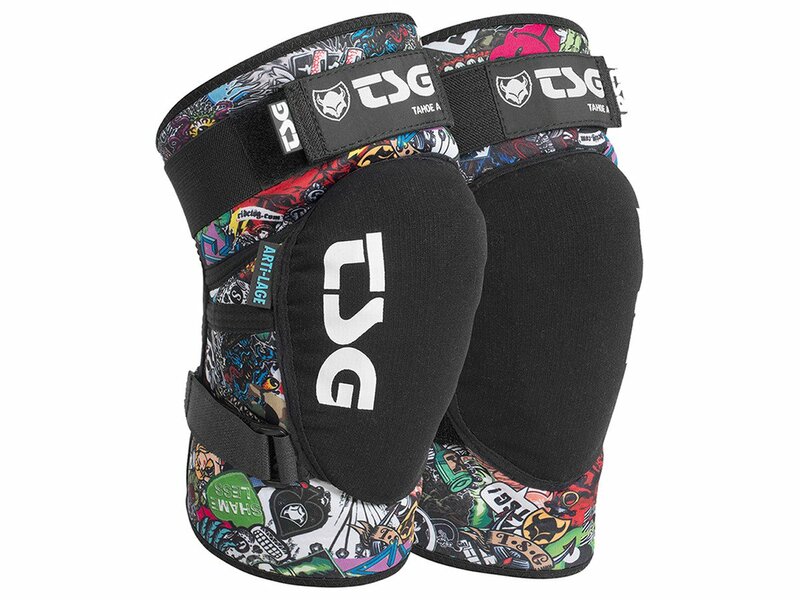 The TSG "Tahoe A" Kneepads - Collage are full-coverage knee guards in a pre-shaped sleeve with a true anti-slip fit. The removable soft Arti-Lage impact-foam adapts to your body and offers high-performance shock absorption. Covered with a removable, elastic, pierce-proof insert for superior protection. 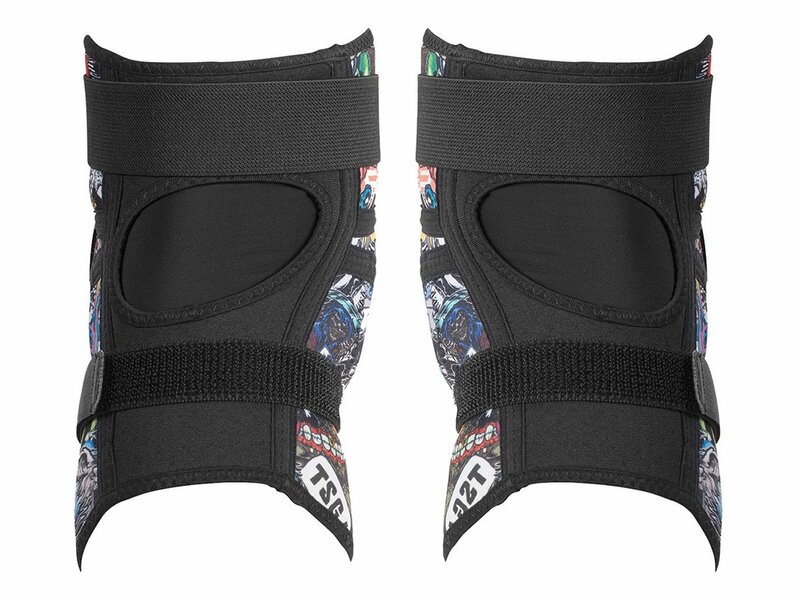 Comfort: Pre-Shaped Design, Stretchy neoprene fabric, Horseshoe Shape, Kevlar Stretch, Anti-slip NBR, Lateral padding, Top velcro 360° Strap, Bottom velcro strap, Covered Cut-out at back of knee, Washable (removable foam), Pull-over design"